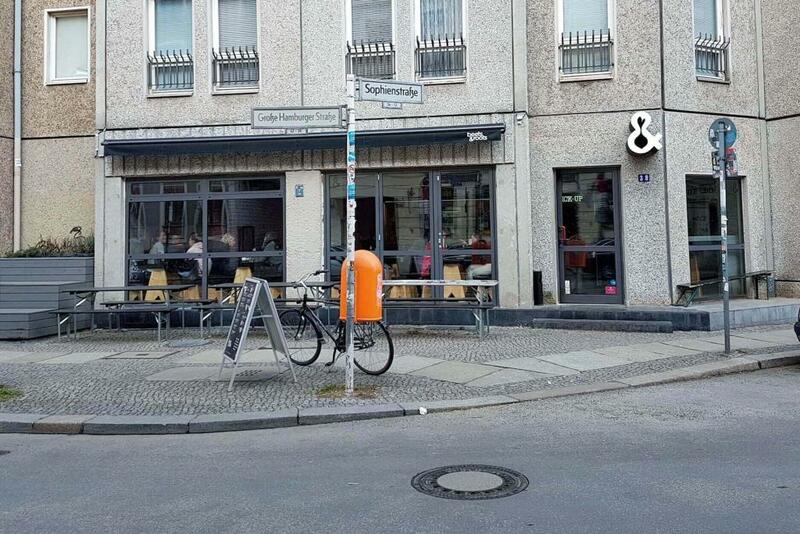 This article is about the location on Große Hamburger Str. 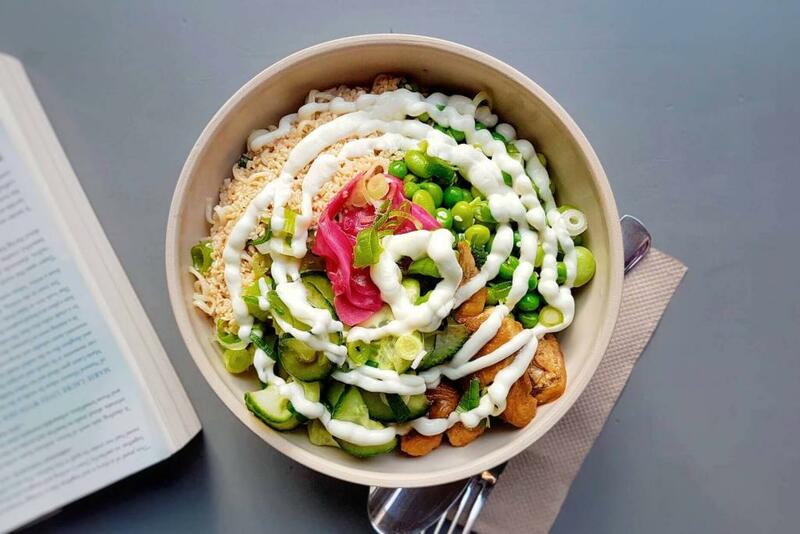 Beets & Roots is a restaurant focused on veggie-based bowls. 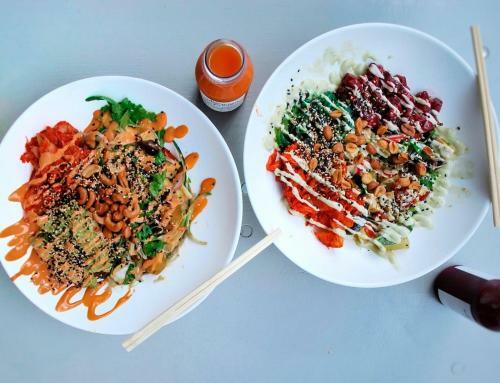 Their menu includes cold and warm vegan bowls, soups as well as salads. 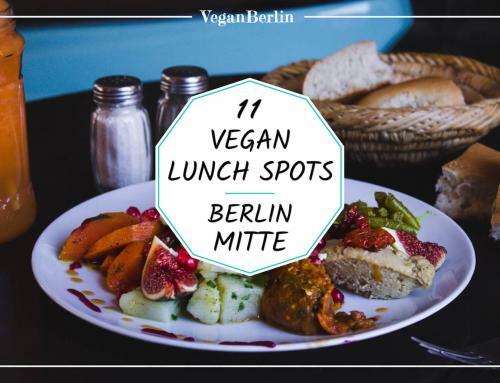 The two locations of Beets & Roots are located in Berlin Mitte – one near Friedrichstraße, one near Hackescher Markt. 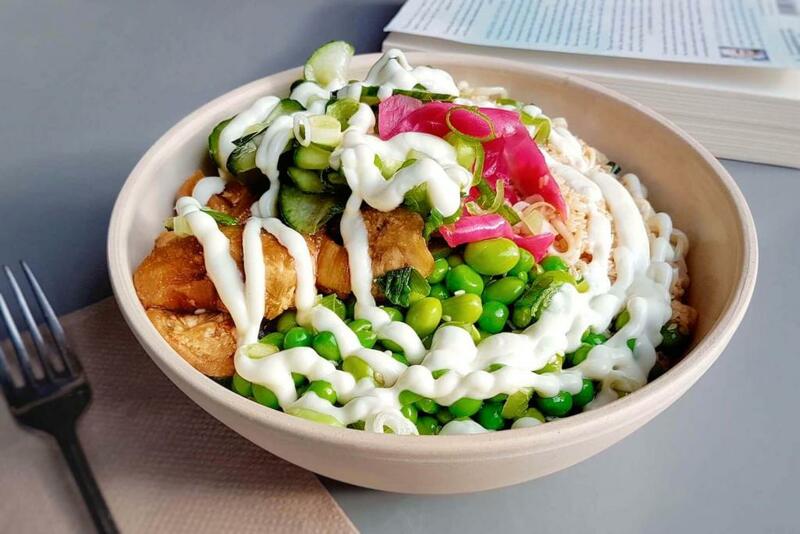 They specialise in bowls with vegan as well as lots of gluten-free options including a Japanese bowl (ramen, edamame, eggplant) and a Protein bowl (butternut squash, quinoa, edamame beans, beetroot, etc.). 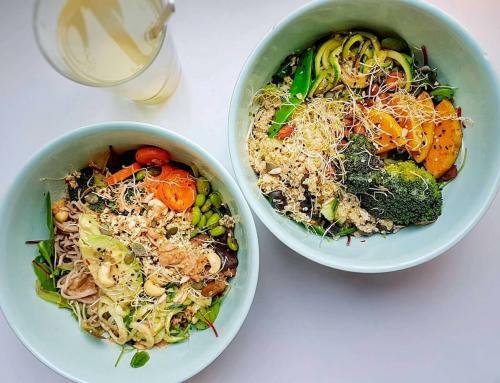 There are also warm bowls such as the “Thai Rice bowl” (rice, red lentil curry, peanuts) “Harvest bowl” served with portobello mushrooms, roasted sweet potato, and a quinoa mix. 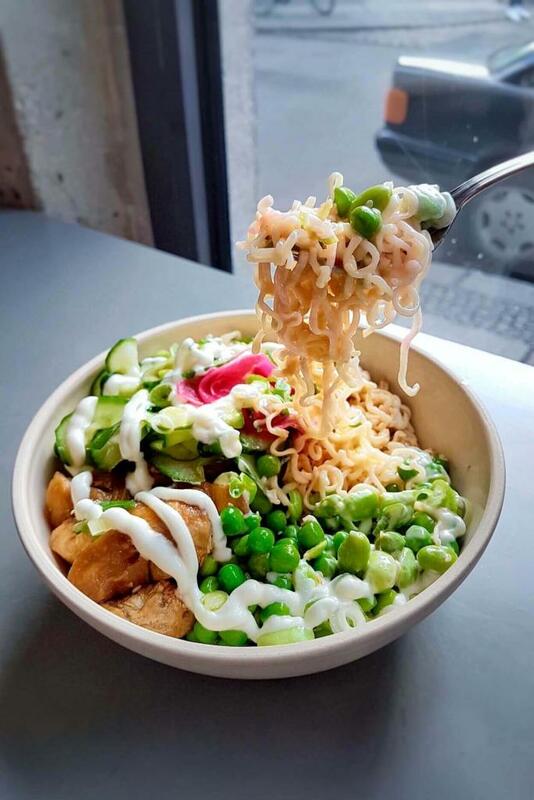 The menu also allows you to create your own bowl from the more than 30 ingredients and/or top up your dish. 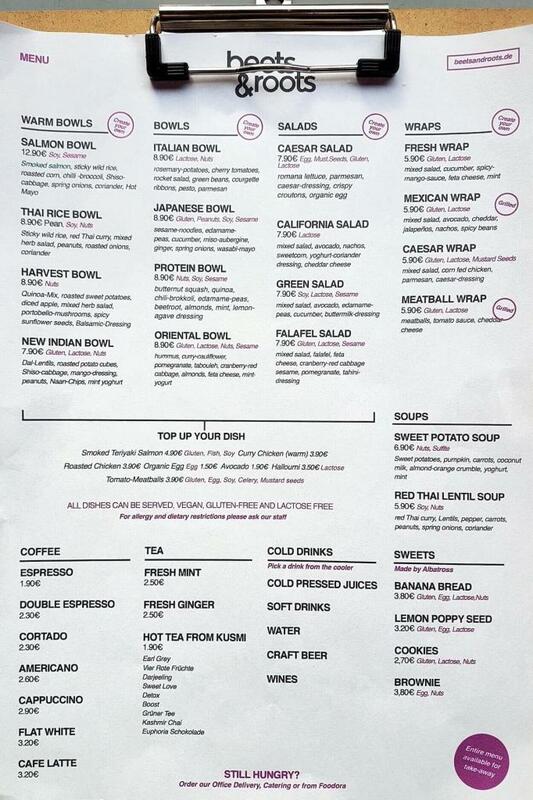 There are also a couple of soups to choose from. 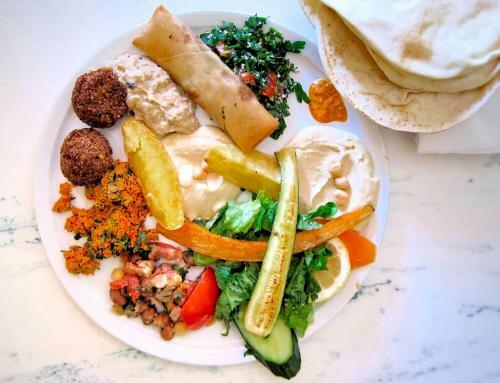 All dishes can be served vegan or gluten-free. 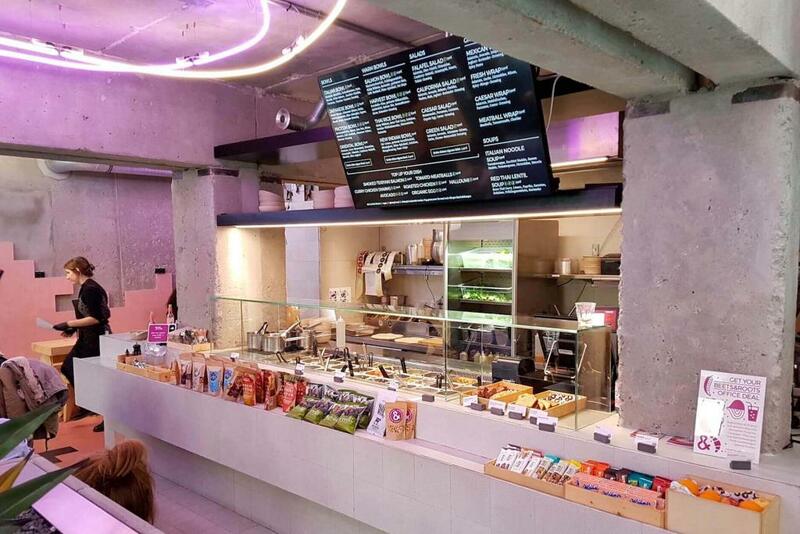 Besides food, you can also get a coffee or cold drink at Beets & Roots. 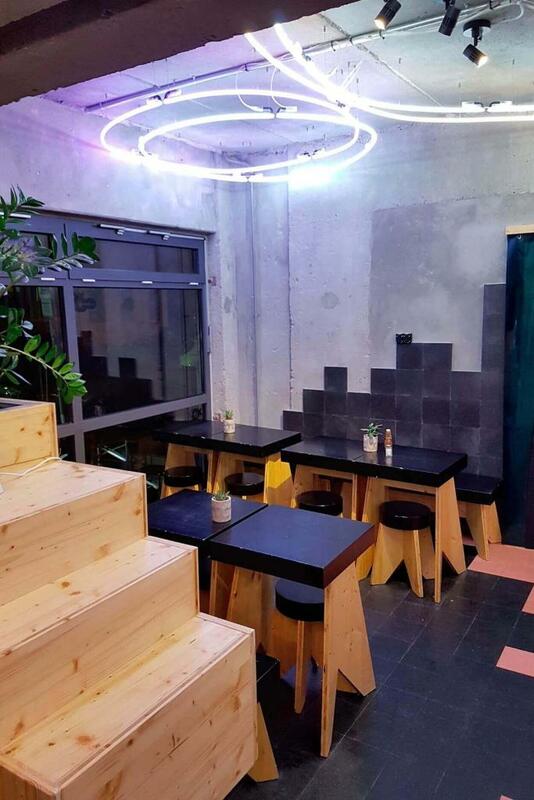 The restaurant itself is equipped with neon lighting on the ceiling and concrete walls, creating a somewhat industrial atmosphere. Tables, benches, and stools (not too comfortable, but totally okay) create a modern black and wooden combination with the occasional green plant in between. The large windows let enough light in and are perfect for watch the people outside passing by. 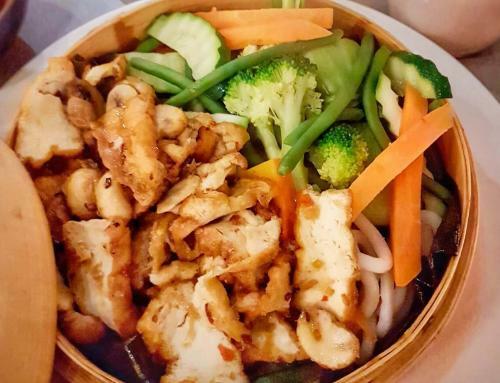 Once you’ve ordered, you will get a receipt with the name of a celebrity on it – be it “Tom Hanks”, “Liz Hurley” or ‘Angelina Jolie” – this will be the name that is called once your order is ready for pickup. There are about 45 seats inside. In summer, you can also sit outside. 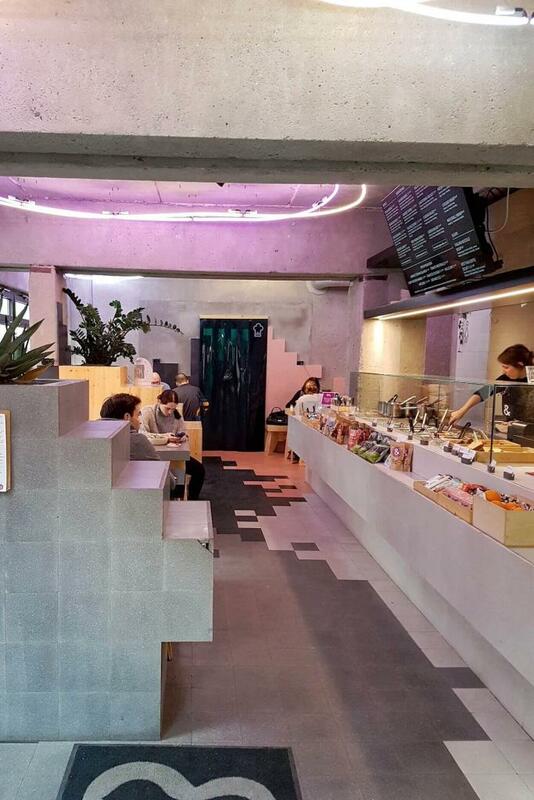 The atmosphere inside is hip and cool, highlighted by electronic or hip-hop music playing in the background (not too loud). We visited “Beets & Roots” in February 2018.